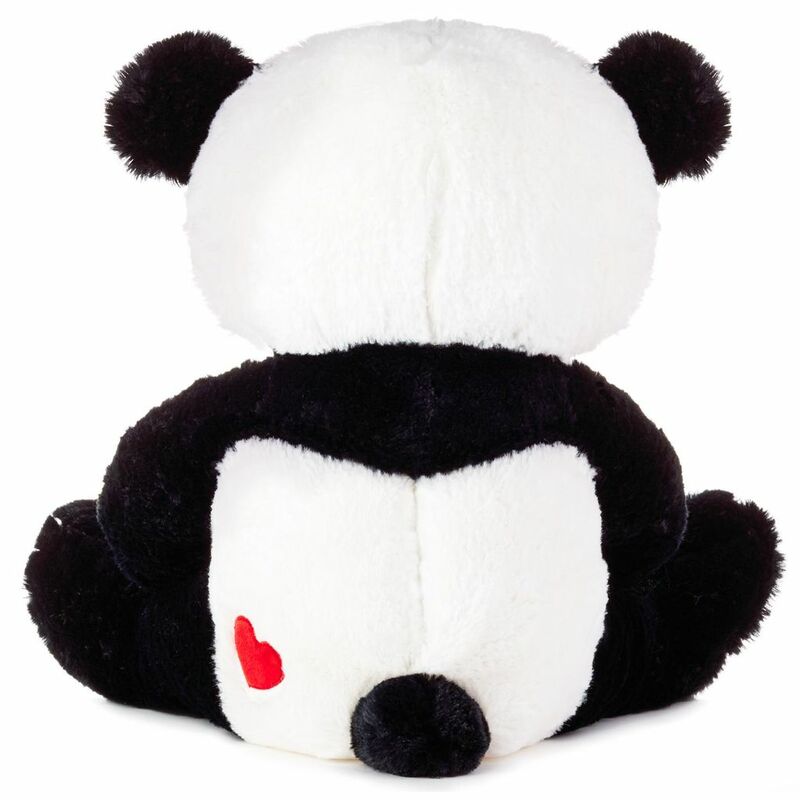 Making their day is as easy as 1-2-3 when you give them this adorably cute panda bear stuffed animal. Press a button to hear this cuddly black and white cub holding a red heart play a sweet version of the song "1, 2, 3, 4." Your honey will love getting this special bear hug gift from you on Valentine's Day or anytime. 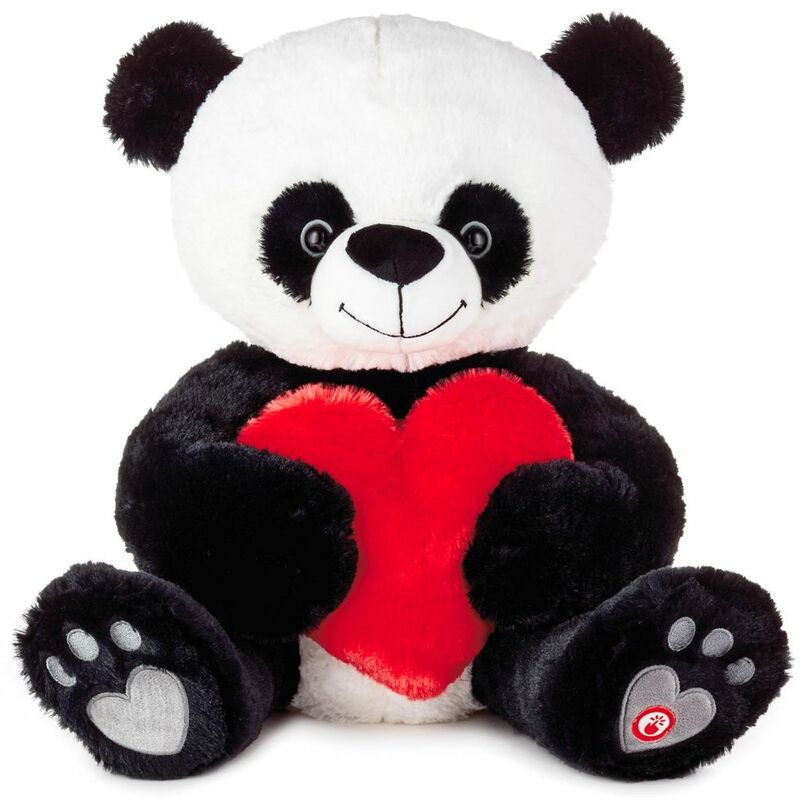 Plush panda bear holding a red heart plays a sweet version of the song "1, 2, 3, 4." Requires two (2) AA batteries, included.